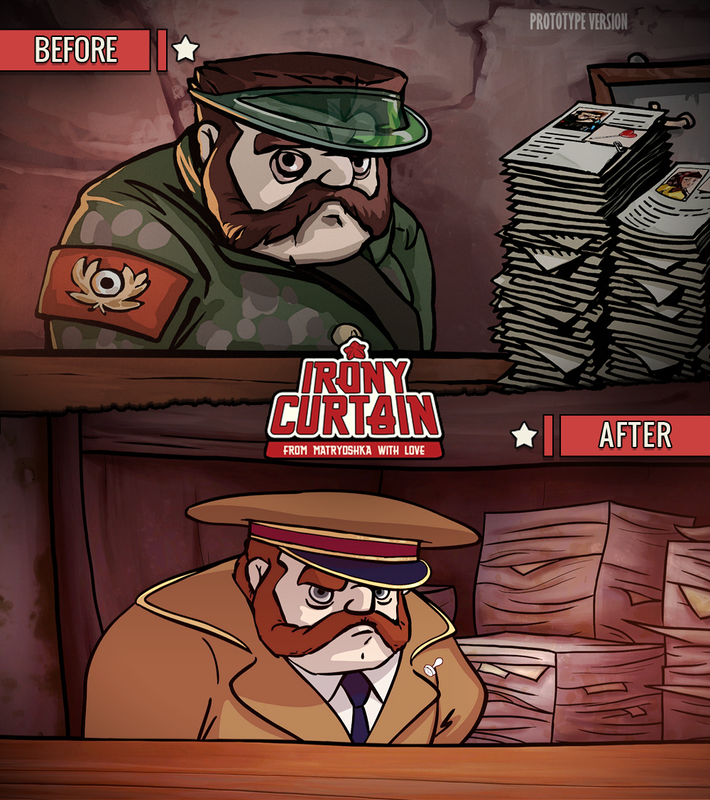 We’d like to show you the past and present of our upcoming point and click game Irony Curtain: From Matryoshka with Love! Below you’ll have the opportunity to witness how much has changed and how far we have come from the original idea that we presented at Polish festivals a while ago. 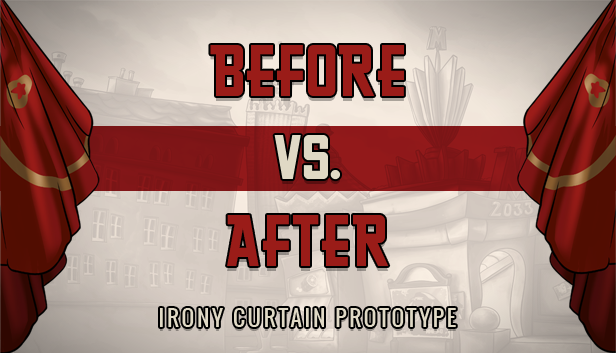 What you see before you is the prototype of Irony Curtain, which back then was called simply ‘Matryoshka’. 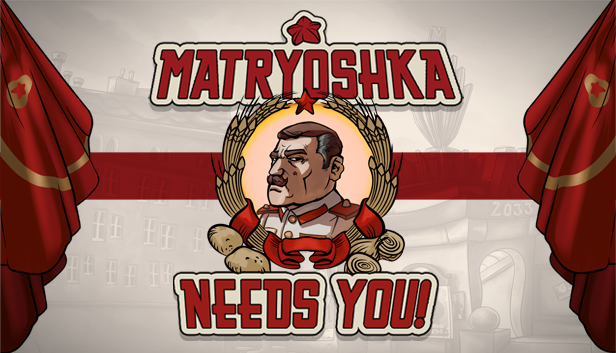 It was always our dream to make a game based on our own experiences, but also tackling the topic with humor and rowdy resistance. And since we love classic point and clicks, there wasn’t much of an option but to make one! 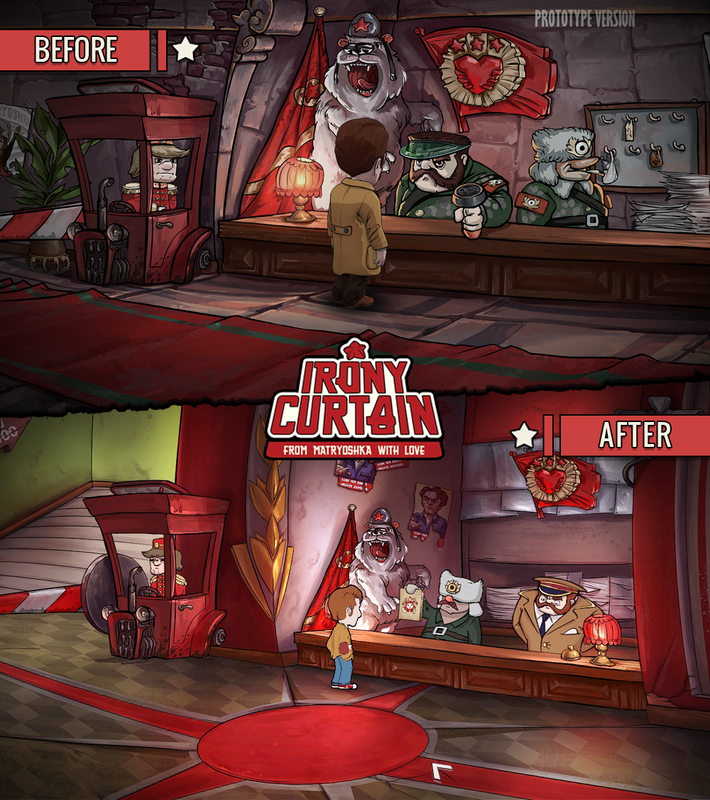 The pictures you see is from one of the locations which remained almost the same through the evolution of the game – the ‘Leader’s Heart’ hotel lobby, from the beginning of the game. What’s your opinion on these? Which verision do you like most? 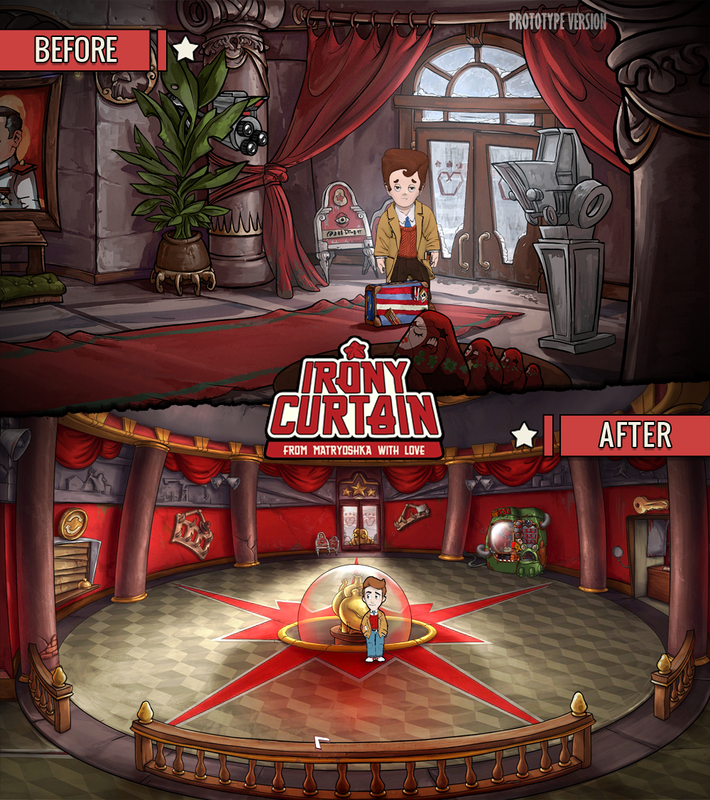 Let us know in the comments below and don’t forget to Add Irony Curtain to your wishlist! We’re incoming in 2019! There’s also a contest on Artifex Mundi contests group that we really want you to join! 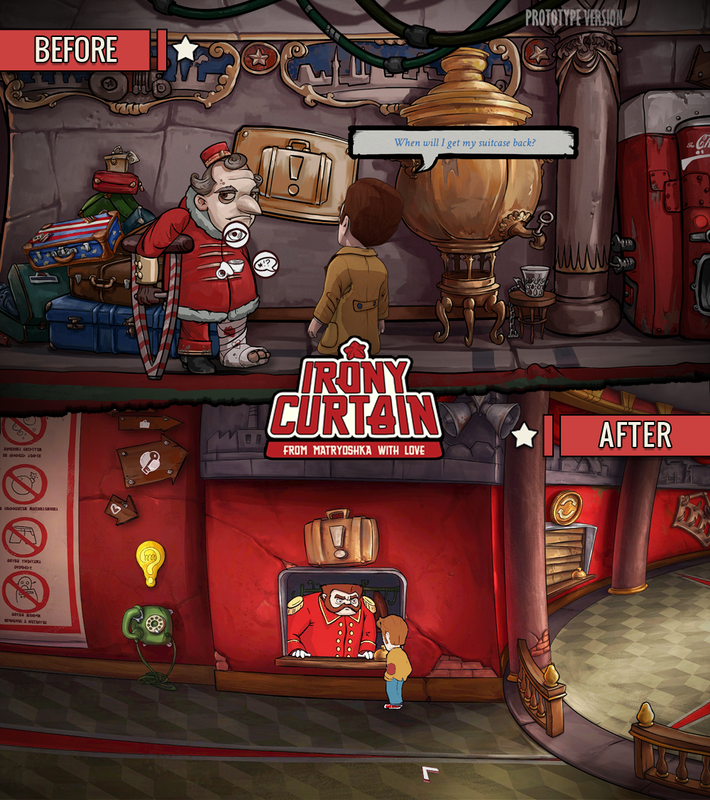 You can not only contribute in the Irony Curtain’s future success but also win 3 Artifex Mundi Games of your choice! Head to the contest here!